Auckland – Air New Zealand has won best exhibition at the New Zealand events awards for its hugely popular 75th year anniversary showcase, knocking out strong contenders the Auckland Food Show and the Gallipoli World War I exhibition at Te Papa. The airline received the prestigious award at the sold-out New Zealand Association of Event Professionals (NZAEP) annual awards at the Auckland Museum events centre tonight. Judges say the Air NZ exhibition was very well planned and executed and made strong use of social media. They say it was great to see the calculated risk taken integrating new, unproven pioneering technology. The world class exhibition created a series of signature moments for the country’s flagship airline that engaged with the public, built on awareness and created opportunities for conversion, NZAEP chief executive Vicki Watson says. Since its opening, the Air NZ 75 Years exhibition in Te Papa and subsequently at the Auckland War Memorial Museum, has had more than 680,000 visitors through it. The daily average of 1546 visitors is the highest of any exhibition ever held at the Auckland museum. The showing imparted the airline’s story of evolution and growth, acknowledging the nation’s ongoing support and its irrevocably intertwined history and cultural identity. The target audience was a, ‘nation of travellers, from aviation enthusiast to fashionistas, staff to customers, and baby boomers to millennials’. 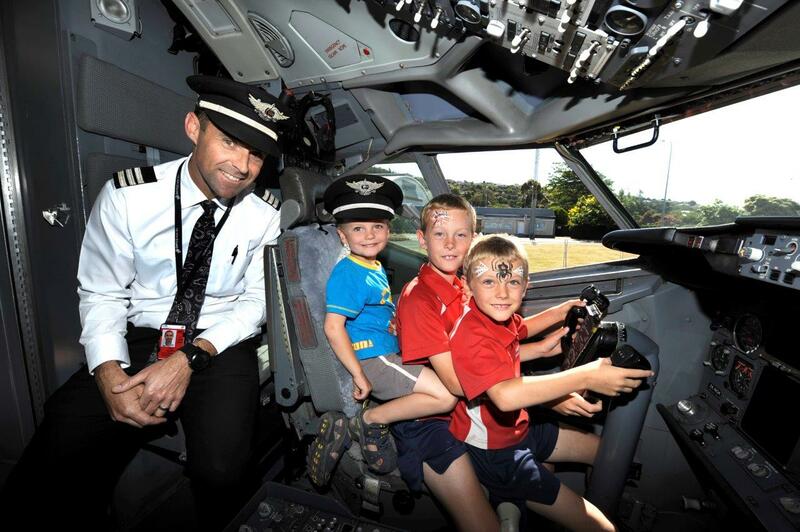 Visitors were taken through the decades from flying boats to the very latest Dreamliner aircraft in an interactive and sensory rich exhibition. It included a student education programme and a safety video competition as well as a B737 cockpit, giving participants the unique opportunity to sit at the controls in a real flight deck. Off the back of the exhibition’s success, and in partnership with the Canterbury Museum, the exhibition will be in Christchurch from September 17 to March 26 next year. The judging panel included Tourism NZ chief executive Kevin Bowler, Creative NZ chief executive Stephen Wainwright, NZ Media and Entertainment chief executive Michael Boggs and Eventfinda chief executive James McGlinn. NZAEP was set up 10 years ago to advocate for the burgeoning events sector in New Zealand. The annual awards aim to establish excellence in benchmarking the industry, judging not just the exhibition itself, but how it was run.